The FC Barcelona first team returned to training on Tuesday morning to start a week of depleted numbers due to thirteen players being away on World Cup qualifying duty. Following a day off on Monday, this was the first workout since the 4-3 defeat at Balaídos, with Luis Enrique and the few players at his disposition now starting their preparations for the game with Deportivo after the international break. Ter Stegen was at the Ciutat Esportiva for although he has been called up for duty with Germany, he isn’t travelling until Wednesday. 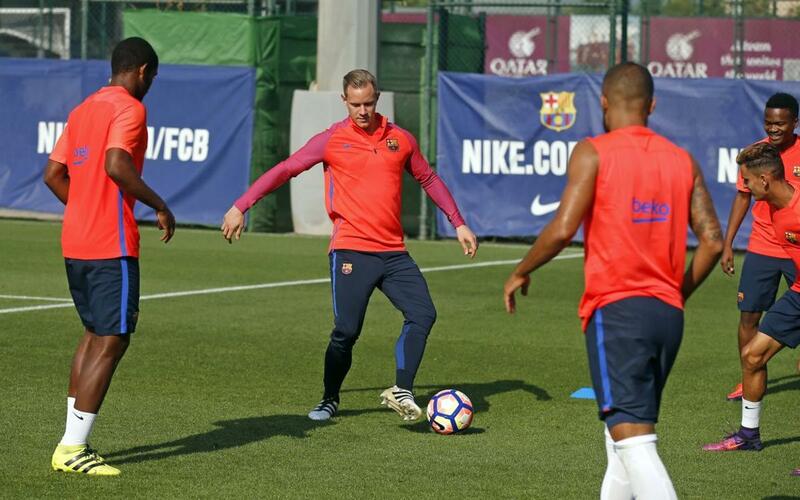 The numbers were boosted by the presence of five members of the Barça B squad, namely Aleñá, Marlon, Kaptoum, Carbonell and Nili. The team has another session scheduled for the same time and place on Wednesday at 11.00am CET.